Any play kitchen is incomplete without this coffee maker! Includes a coffee pot with a water tank that can hold real water. Turn on the unit and watch the coffee pot being filled. This realist coffee maker also lights up and makes coffee brewing sounds. 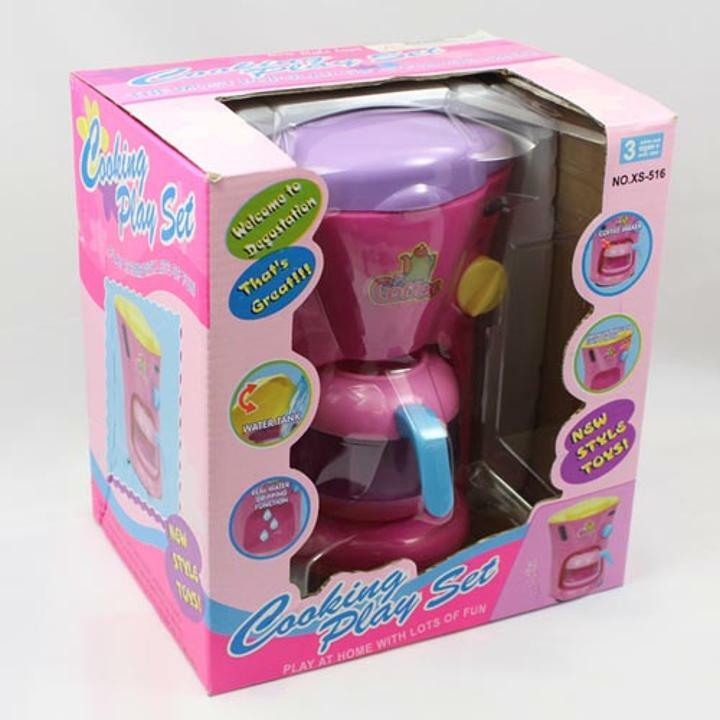 Great for kids who love playing house and want to be like Mommy and Daddy. Perfect for birthday gifts, holiday presents and everyday play. Battery operated, requires 2 "AA" Batteries (not included).